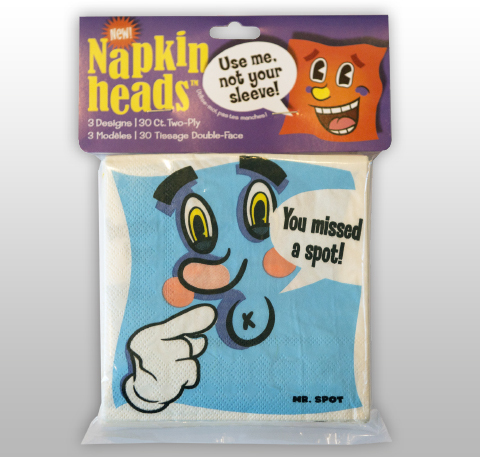 Black Lab Products™ | Napkin Heads™ | Fun Disposable Napkins | Party Napkins | Kid Napkins | 30 Pack | $3.99 | Buy NOW! Black Lab Products | Napkin Heads | Fun Disposable Napkins | Party Napkins | Kid Napkins | 30 Pack | $3.99 | Buy NOW! Ever heard of a kid liking a napkin? Includes Three Unique and Original Napkin Designs on Two-Ply, 30 Napkins total.